Mr. Guy Paul Nohra is co-founder of Alta Partners, a leading Venture Capital firm in life sciences, funding over 150 companies in the healthcare/life sciences sector since 1996 through eight Venture Capital funds. Mr. Nohra is a Life Sciences investment veteran with more than 30 years of experience. Among Silicon Valley’s most successful venture capitalists in Biotech, Guy was named to Forbes’ Midas List in 2007. As one of the four original founders of Alta Partners, Mr. Nohra was intimately involved with raising eight venture capital funds, leading to over $2bn of investments in private and public companies. Through Mr. Nohra’s guidance, Alta Partners has consistently ranked among the firms with the highest number of M&A or IPO exits in the life sciences industry. Alta Partners has had over 30 successful exits during the past five years, including 12 exits (10 IPOs and 2 acquisitions) in 2014. In 2013 and 2014, CB Insights ranked Alta Partners as one of the top three life science Venture Capital firms worldwide, considering factors such as value creation, past performance, network strength, selection aptitude, and brand. The firm has historically had more life sciences IPOs out of its portfolio since 1996 than any other Venture Capital firm worldwide, including 12 IPOs in 2000 and a 10 IPOs in 2004. Mr. Nohra was involved in the funding and development of notable medical technology and life science companies including AcelRx, ATS Medical, Cutera, Innerdyne, R2 Technology, deCODE genetics, and Vesica. 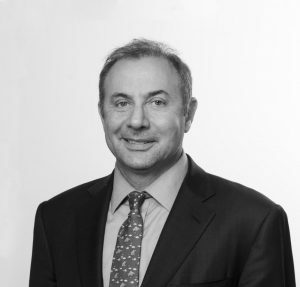 Mr. Nohra serves on the Board of Directors of several companies, including Bioventus, Carbylan Biosurgery, PneumRx, USGI Medical, Vertiflex, and ZS Pharma, and is the Chairman of the Board of USGI Medical and ZS Pharma. He has also served on the Board of Directors of the Medical Device Manufacturing Association (MDMA) from 2003 to 2013 and is now a Board Member Emeritus. Mr. Nohra holds a Bachelor’s degree in Economics from Standford University (Palo Alto, California, 1978-1982) and completed a MBA from University of Chicago (Chicago, 1987-1989).